This article will tell you about some best cache plugins. I am also explaining what is cache and how it works? You may know, it is very important to make your WordPress site super fast. No one likes a slow site. A faster website can generate more traffic from search engines because all the major search engines give priority to faster sites. A rocket loading website compels users to visit it again and again. WordPress cache plugins can be very useful to speed up your WordPress blog/website. Before starting the discussion about best cache plugins, let me tell a bit about cache and its importance. Different type of requests is being sent to servers to show the data on a web page. The number of requests depends upon the size of a page. The speed of websites goes down with the increase in server requests. In this case, a cache is very helpful. Cache is temporary data which is stored and can quickly be accessed when required. WordPress cache plugins store data and reduce the requests that are being sent to the server. How do WordPress Cache Plugins work? Not only WordPress plugins but all the cache codes in any language work same. Cache system store the data of a web page when it loads the first time and keeps this data save until page is not updated or deleted. Cache system will show that the copied page every time instead of requesting to the server each time. Hence your WordPress site will super load. Below are the best cache plugins for WordPress. Use any of them to solve the WordPress loading problem. W3 Total Cache is at number one in the list of best cache plugins due to its advanced features. I decided to put WP Rocket at number two because it is very easy to use and beginners can easily understand it. Another best cache plugin for WordPress is WP Rocket. WP Rocket is good for beginners because it does not have complex options like W3 Total Cache. You can start it with one click. It’s crawler with crawl your WordPress website and automatic turn it on automatic optimization. It also includes other useful features like the lazy image, DNS pre-fetching, and minification etc. Search WP Rocket plugin directly in WordPress or get it by click below link. WP Super Cache can be added in the list of best cache plugins for WordPress because of it’s easy and amazing features which are also suitable for beginners. WP Super Cache is free of cost and top hosting companies recommend it. Caching is very effective and useful because it super fasts your website. Due to its importance, many WordPress hosting companies have their own build-in caching system to reduce the load on the server and keep your website fast. Below are some popular hosting companies which are offering their own built-in caching system. BlueHost is the leading hosting company and being recommended by top WordPress bloggers. 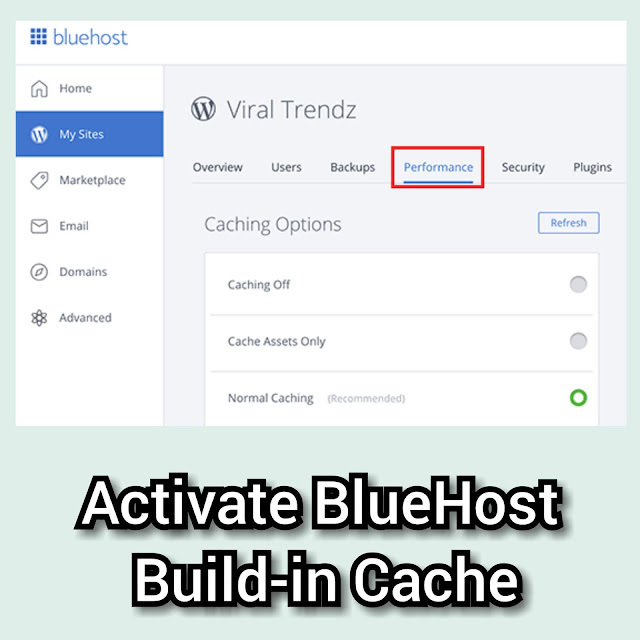 Bluehost offers its own cache system to load WordPress site faster. To activate caching, go to my sites after login into your account. Now click on the performance tab. Here you can on and off caching. 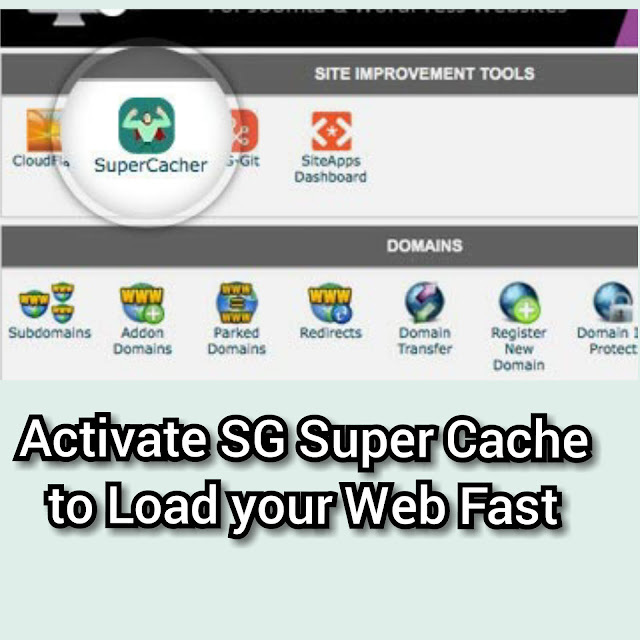 SG Super Cache is being offered by Site Ground along with all of its hosting packages. You can activate it in your cpanel. After activation, you can install a plugin “SG Optimizer” to manage it directly from WordPress. WP Engine is a bright name among managed WordPress hosting companies. WP Engine offers a built-in caching solution. You can deal with their cache option in your WordPress admin panel. A simple switch to WP Engine menu and on caching of your site. You can install their plugin “WP Engine Advance Cache” for more options. This plugin will provide some advanced options. These are some best cache plugins for WordPress. Hopefully, this article contains all the information that you was looking for. You can comment below if you have any question related to the article.